Q: Just wondering if you could help.I wish to put a script java menu on every page of my site - through all the folders etc. How do I set it so that they all 'feed' from the same dmenu.js file? How do I set the file path to that file from all pages of my website? A: 1) How do I set it so that they all 'feed' from the same dmenu.js file? 2) How do I set the file path to that file from all pages of my website? If you don't want to create your menu on each page, you can try to useframes, the menu has a cross-frame mode. Q: I'm currently experimenting with your script which I far more performant than any of the other I have tried so far, so we will probably go with yours and get a distributer license. I have two menus on my site. Notice also that you should call dmenu.js file only once and then callyour data files. Now you have two calls of dmenu.js file. 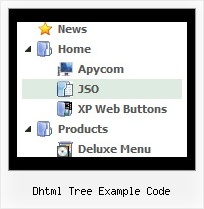 PHP Dynamic Menu Tools DHTML Tutorial: Making a Standards-Supporting Web Page and Menu Script. Thomas Brattli has written a short and The example user code, on the other hand, is relatively plain.